Then you won’t want to miss this post, which is going to show you how to get free manufacturer coupons just by paying more attention to your “junk” mail. The company I’m going to tell you about is a market research company that sends out coupons to consumers like you through the mail. You’ve probably seen a yellow envelope from the company with the name of your town on it instead of addressed to you. It looks like junk mail, so you like tossed it right into the trash. These envelopes can get you some incredible coupons for your favorite products just by taking a few minutes to answer the survey inside. The company I’m talking about is called Shopper’s Voice. Don’t feel bad if you’re one of the people who has thrown envelopes like this away. Honestly, I just recently learned what this company is. Now that I know, I won’t be making that mistake anymore! Shopper’s Voice is a research company that focuses on learning more about shoppers just like you, all over the United States and Canada. The company sends consumers a survey so that it can gather important information about your household and shopping habits. When you fill out the survey, you’ll mail it back. A few weeks later, you should get another envelope from Shopper’s Voice. This one will be filled with tons of coupons for you to use on future shopping trips! You don’t have to take a mail-in survey, though. You can also sign up for it online. To sign up to take the online survey, go to the website. You’ll see a big button that says “Take Our Survey” at the top of the page. Click on that and get started! The main grocery shopper of the house should be the one to fill out the survey. You also must be at least 18 years old in most states, at least 19 in AL and NE, and at least 21 in MS. The survey will take you about 15 to 20 minutes to complete. Once you get your basic information filled out, you’ll be prompted to confirm your email address. You can do that by heading to your inbox and clicking the link in the email the company sent you. 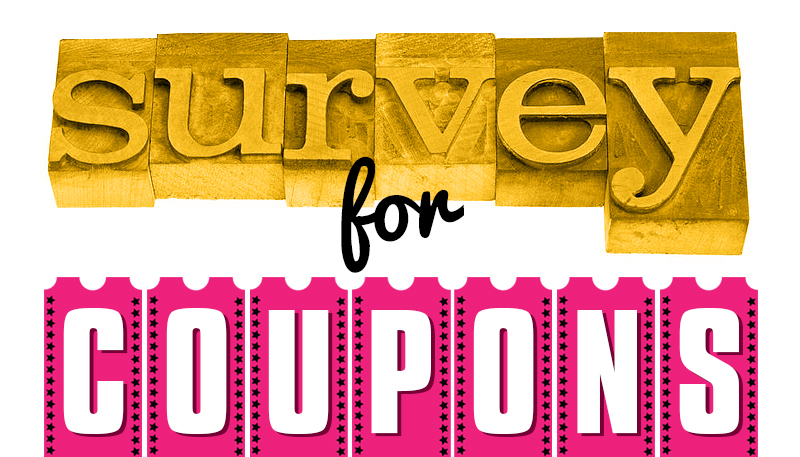 Complete the survey and wait for your coupons to arrive! If you took the survey online, then you’ll receive coupons via your inbox that you can print off and use in the store. If you took the mail-in survey, you’ll receive mailed coupons instead. Make sure you take the survey you want for the type of coupons you’d like to receive! From what I can tell, the company isn’t sending out many mailed surveys anymore and is moving everything over to digital, so this may be the best way to go. Aside from that, the process is straightforward. You won’t have to do anything else once you take the survey. The coupons you get are the company’s way of saying “thank you” for participating in the survey and assisting its research efforts. You will likely get offers and promotions from other companies, though, once you fill out the survey. Again, if you sent in a mailed survey, you’ll get more offers through the mail. If you took the digital survey, these offers will go to your inbox. The great part about this whole thing is that you don’t have to pay anything for the coupons you get. This survey is free for everyone to take and the coupons are given away as an incentive to get more people to take it. You won’t have to pay for a membership or anything else involved with Shopper’s Voice. And, you’ll receive more coupons throughout the year in addition to your initial set. This is a great way to build up your coupons collection if you’re into extreme couponing! What Coupons Will I Get? Shopper’s Voice hands out coupons for all kinds of products you probably use every day. You can check out the Coupons section of the site to get a glimpse of some of the coupons you’ll find. As a member, though, you’ll have access to more coupons, offers, and promotions. You can sort coupons by category to find what you need and even narrow down the ones available in your area by plugging in your zip code. But, there may be a part of your Shopper’s Voice membership that you don’t particularly love. Remember that the company is a market research company. It partners with other companies to find out what consumers do and love. Therefore, its service is catered to partnered businesses as much as it is consumers. Your information that you provide on the survey may get transferred to the marketers and companies that Shopper’s Voice partners with. This is how the company tailors offers and promotions to your interests. If you indicate that you shop for baby products often, then the company may send your name, address, and email address over to baby-focused partners so that they can send you coupons or offers. That means that you could wind up with emails or mail from companies that you never signed up for. If you’ve ever been a member of an online survey panel, then you’re probably used to a similar process. Neither option is a great one, but if you choose to use a separate email inbox as a dedicated inbox for Shopper’s Voice, then all emails from the company and its partners will go there instead of cluttering your main inbox. That way, you’ll still have access to all the great deals you wanted in the first place and can sift through the ones you don’t a little easier. Can I Get Anything Else for My Time? Here’s the cool thing about Shopper’s Voice. When you take the survey initially, you’ll automatically get entered into a monthly prize drawing for $1500! Your entry will go in the drawing for the month that you took the survey. Shopper’s Voice also has other giveaways through the year. In 2017, for example, there was an additional monthly sweepstakes for $250 VISA gift cards. There was also one month that year when 10 $50 Amazon gift cards were given away! So in addition to getting various offers throughout the year from Shopper’s Voice and its partners, you also have a chance to win some great prizes – including cash! – every month. Read Also: 21 Best Surveys That Pay Through PayPal: Get Your Money Fast! Conclusion: Take Surveys for Coupons! Don’t forget to head to some of the best coupon sites around for even more digital coupons to print! Have you taken the Shopper’s Voice survey? How do you feel about the membership? Sound off in a comment below!